The sun is shining, and it's a beautiful day...in February. So while I'm looking out at the beautiful sunshine, pretending it's a warm, spring day...I'll eat this salad to continue the facade in my mind! 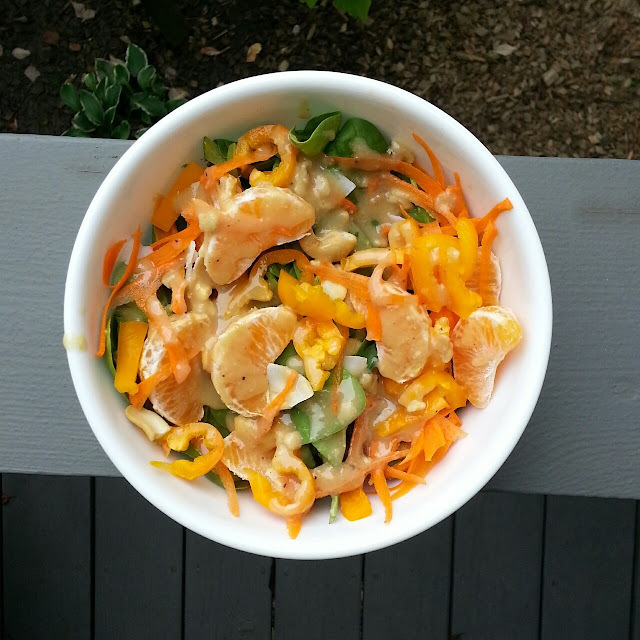 Citrus is in abundance in winter, making this a perfect, easy salad to throw together right now. The bright flavors are sure to perk up a bleak, winter day! Equal parts white miso, apple cider vinegar and agave or coconut nectar. A spoonful of tahini, a dash of cracked pepper and water to thin to your liking. Whisk all ingredients together and pour over your assembled salad.